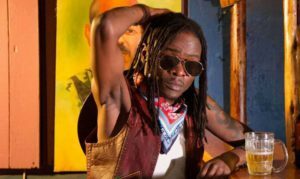 Following the final sendoff of the music icon Mozey Radio that happened on Saturday last week, the singers’ management yesterday held meetings to forge a way forward for his music alongside that of his partner Weasel. Word reaching us is that the management has also been contacted by certain individuals who claim to have been confided in by Radio should anything ever happen to him. The individuals were called to tell management what they know. The meeting took place in Makindye yesterday to decide on what they should do for Weasel. Reports indicate that the management debated whether to re-brand the artiste or use music projects both new and old to keep him on top. Speaking about the same, Weasel recently told PML Daily that he is going to be singing old and new songs. He confirmed that he has music that can take him for the next five years.